Bestselling author Michael Lewis says the idea that civil servants are “lazy or stupid or dead weight on the society is…the most sinister idea alive in this country right now.” In his new book, “The Fifth Risk,” Lewis examines how the Trump administration has been staffing the federal government, and its “ignorance of the mission.” Lewis sits down with William Brangham for a conversation. As we have been reporting, addressing enormous global challenges like climate change require more than just individual action. They require the leadership of active, engaged governments. 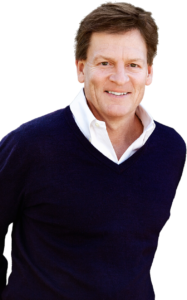 In his new book, “The Fifth Risk,” bestselling author Michael Lewis reports on the Trump administration and its approach to staffing the federal government. William is back with the latest installment of our “NewsHour” Bookshelf. He began by asking Michael Lewis to explain the book’s title. It’s the risk you’re not imagining. It’s the thing you’re not thinking about when you’re worried about whatever you’re worried about. And the beginning of the story is really seeing the federal government as a portfolio of risks that are being managed. Most of — most of them, we aren’t even thinking about, things like the risk that some nuclear bomb is going to go off when it shouldn’t go off, managed out of the Department Energy, or that we won’t have an accurate picture of the society, managed out of the Department of Commerce. It collects all the statistics about the society. I mean, you move across the government, it’s breathtaking how many mission-critical things there are, and how it’s being done in spite of this vague hostility the society has to its own government. Your reporting really covers the period after Trump is clearly going to be the president and the transition that goes on when one administration switches to the next. How would you characterize, broadly speaking, how that transition happened and what occurred? So, there’s what’s supposed to happen, and there’s what happened. What is supposed to happen is that the outgoing administration spends nine months and a thousand people’s time building briefing books across the administration. So, the Obama administration did this. And the idea was, the day after the election, whoever won would send hundreds of people into the government to get the briefings. And the Trump administration didn’t show up. They never bothered to learn what these agencies are doing. The book has so many fascinating vignettes of people who work within these different federal agencies. And I wonder if there’s one story that stands out to you that’s emblematic of this larger issue that you’re talking about. Well, the larger issue of the ignorance — the problem of ignorance of the mission, and, as a result, putting the wrong person in. I mean, there are hundreds of examples, but I mean, I think one that is easily described is, inside the Department of Agriculture, there is a chief scientist. And this person is responsible for distributing $3 billion in research grants every year. Now, this is going to agricultural research, most of it, one way or another, now associated with climate change. it’s how we’re going to — how we’re going to continue to grow food and graze sheep and milk cows in different — in a different climate. And it’s a serious issue. It’s the planning for the — the food supply of 50 years from now. The person who was doing that was a very distinguished research scientist in agriculture named Cathie Woteki. She’s a world-class authority on the subject of agricultural science. Trump replaced her with a right-wing talk show radio host from Iowa who happened to have supported him in the election who had no science background at all. That kind of thing, taking people who really know something, and replacing them with people who are just like loyalists, who have absolutely no idea what the mission is, is a theme that runs right through the administration. Does the mission suffer? I mean, I think obviously, you could look at that kind of a transition and say, that seems a drastic shift in priority. But these bureaucracies largely have a career staff that are there largely permanently. I mean, doesn’t — doesn’t that staff keep the mission going for the most part? So of the top 6,000 career civil servants in the federal work force, 20 percent of them quit or were fired the first year of the Trump administration. So, already, there’s a — you can see a gutting of the civil service. And the idea that these people are lazy or stupid or dead weight on the society is — I think it’s the most sinister idea alive in this country right now. I really do. Meaning they’re not in money for themselves. Yes, that’s right. You don’t take these jobs to be famous — rich and famous. You take these jobs because you really care about the thing. And they’re the government. And without those people, this place collapses. This place being this society. It’s not like the government is a tool that we might use to address the biggest problems we have. It’s the only tool for most of the biggest problem. You’re going to deal with climate change, that’s going to be from the government. If you deal — anything having to do with science and technology, all the basic research, the very basic research is done with government — through the government, because if it’s not going to pay out in the next 10 to 15 years, industry doesn’t want to have anything to do with it. The future is driven by what the government does. And it has been in this country forever. I mean, you don’t get the Internet without the government. You don’t get the iPhone without the government. You don’t get GPS without the government. We are drastically cheating the future when we beat the government, the way we treat it. It’s not just Trump. I mean, we have been doing this here for several decades, this — playing with the idea that the government’s the problem, not the solution. He is just the ultimate expression of the problem. And I think if it’s like there is this exquisitely important machine that we have allowed, through our own neglect, to accumulate rust over the decades. And now he’s come in with a sledgehammer. And, yes, we’re going to play a real price if we don’t pay attention. In the last third of the book, you really talk about the centrality of government data and how important that is. And there’s a few passages where you list a lot of ways in which the Trump administration has been scrubbing its Web sites of data. The USDA was removing reports of farm animals being abused, the Consumer Financial Protection Bureau removing reports of financial abuse, FEMA removing data about electricity and water in Puerto Rico after the hurricane. Right, at the Department of Energy. There is a threat, anyway, to the weather data being accessible. Someone has a business that is going to be more profitable if this information is not available. And so it’s ranchers who want to be able to abuse animals, or it’s a — it’s a weather company that doesn’t want the weather data publicly accessible, because they want to be able to sell it to people. After talking with all of these different officials working within these crucial agencies, what is the thing that scares you the most? What keeps you up? It’s a broad thing. And the broad thing is the fantastic myopia of this moment. We’re going to look back and say there were many — unless we drastically shift course — look back and say there were many moments where we cheated the future by the way we behaved in the present. And I think that’s — that’s been true for a while, but I think it’s really true right now. Michael Lewis, thank you so much. El presente Decreto Legislativo tiene por objeto establecer las normas necesarias para fortalecer el Sistema Administrativo de Recursos Humanos y viabilizar la implementación del Régimen del Servicio Civil. a) La Autoridad, la cual formula la política nacional del servicio civil, ejerce la rectoría del Sistema y resuelve las controversias. b) La Dirección General de Gestión Fiscal de los Recursos Humanos o la que haga sus veces, del Ministerio de Economía y Finanzas, la cual implementa la gestión fiscal de los recursos humanos. a) Dos consejeros designados en mérito a sus calificaciones profesionales y reconocida trayectoria en sus campos de trabajo; con sólida experiencia en gestión pública y/o en gestión de recursos humanos. Son designados por resolución suprema refrendada por el Presidente del Consejo de Ministros, por un plazo de cuatro (4) años. Las renovaciones serán por idénticos períodos. Uno de ellos lo preside, en calidad de Presidente Ejecutivo de la Autoridad Nacional del Servicio Civil, cuyas funciones se encuentran asignadas en el Reglamento de Organización y Funciones de SERVIR. b) El/La Secretario/a de Gestión Pública de la Presidencia del Consejo de Ministros. c) El/La Director/a General de Presupuesto Público del Ministerio de Economía y Finanzas. d) El/La Director/a General de Gestión Fiscal de los Recursos Humanos del Ministerio de Economía y Finanzas. Los miembros del Consejo Directivo sólo pueden ser removidos en caso de falta grave debidamente comprobada y fundamentada, mediante resolución suprema. a) Formular la planificación de las políticas nacionales del Sistema en materia de recursos humanos, la organización del trabajo y su distribución, la gestión del empleo, la gestión del rendimiento, la gestión de la compensación no económica, la gestión del desarrollo y capacitación y la gestión de las relaciones humanas y sociales en el servicio civil. b) Formular la política de compensación no económica. En caso la propuesta tenga efectos fiscales debe desarrollarse en coordinación con la Dirección General de Gestión Fiscal de los Recursos Humanos del Ministerio de Economía y Finanzas. c) Dictar normas técnicas para el desarrollo e implementación del Sistema, incluyendo la gestión de la seguridad y salud en el trabajo de las entidades públicas. d) Emitir opinión previa a la expedición de normas de alcance nacional relacionadas con el ámbito del Sistema. e) Desarrollar, normar y mantener actualizados los sistemas de información requeridos para el ejercicio de la rectoría del Sistema. f) Capacitar a las Oficinas de Recursos Humanos, apoyarlas en la correcta implementación de las políticas de gestión y evaluar su implementación, desarrollando un sistema de acreditación de sus capacidades. g) Desarrollar y gestionar políticas de formación y evaluar sus resultados. h) Emitir opinión técnica vinculante en las materias de su competencia. i) Normar y gestionar el Cuerpo de Gerentes Públicos. j) Proponer o aprobar los documentos e instrumentos de gestión, de acuerdo a la normatividad vigente sobre la materia. k) Dictar normas técnicas para los procesos de selección de recursos humanos que realicen las entidades públicas. l) Organizar, convocar y supervisar concursos públicos de selección de personal, directamente o mediante terceros, en los casos señalados en el Reglamento. m) Administrar el Registro Nacional de Personal del Servicio Civil. El sistema administrativo de gestión de recursos humanos establece, desarrolla y ejecuta la política de Estado respecto del Servicio Civil, a través del conjunto de normas, principios, recursos, métodos, procedimientos y técnicas utilizadas por las entidades públicas en la gestión de los recursos humanos. a) La Autoridad Nacional del Servicio Civil (SERVIR). b) Las oficinas de recursos humanos de las entidades o las que hagan sus veces. c) El Tribunal del Servicio Civil. 60.1 Los directivos públicos son designados por un periodo de tres (3) años, renovables. 60.2 Las renovaciones se realizan considerando los resultados favorables de su evaluación anual. Créase el cuadro de puestos de la entidad (CPE) como instrumento de gestión. El CPE de cada entidad se aprueba mediante resolución del Consejo Directivo de SERVIR con opinión favorable de la Dirección General de Presupuesto Público y la Dirección General de Gestión Fiscal de los Recursos Humanos del Ministerio de Economía y Finanzas. Este instrumento reemplaza al Cuadro de Asignación de Personal (CAP) y al Presupuesto Analítico de Personal (PAP). Las entidades nuevas y, las que no siendo nuevas tengan puestos que, por mandato de la ley, deban regirse por el régimen del servicio civil, solo requieren cumplir con la valorización de los puestos propuestos para implementar dicho régimen. La Dirección General de Gestión Fiscal de los Recursos Humanos del Ministerio de Economía y Finanzas, en coordinación con SERVIR, aprueba la valorización”. La implementación, por las entidades públicas, del régimen previsto en la presente Ley se realiza progresivamente, conforme a las reglas de gradualidad que establecen las normas reglamentarias, en el marco de la programación de las leyes anuales de presupuesto. a) Análisis Situacional respecto a los recursos humanos y al desarrollo de sus funciones. b) Propuesta de reorganización respecto a la estructura de recursos humanos. 3. Hasta la culminación del proceso de implementación del régimen del Servicio Civil, SERVIR está facultada para llevar a cabo el proceso de selección de directivos públicos, en los casos que se determine en el Reglamento General. También lo podrá hacer, incluso en entidades que hayan culminado el proceso de implementación, en los supuestos que señale dicho Reglamento. SERVIR promoverá el desarrollo de capacidades de las Oficinas de Recursos Humanos de las entidades públicas para mejorar la realización de concursos públicos de directivos y, para ello, podrá validar a las Oficinas de Recursos Humanos que acrediten la capacidad adecuada y la experiencia necesaria conduciendo procesos de selección meritocráticos, quedando habilitada para emitir los lineamientos correspondientes”. El presente Decreto Legislativo será refrendado por el Presidente del Consejo de Ministros. La modificación del Reglamento General de la Ley N° 30057, Ley del Servicio Civil, se emite un plazo no mayor a treinta (30) días calendario contados a partir del día siguiente de la publicación del presente decreto legislativo, a propuesta de la Autoridad Nacional del Servicio Civil. 1.1 El Decreto Legislativo tiene por objeto establecer disposiciones sobre la Gestión Fiscal de los Recursos Humanos en el Sector Público, como mecanismo para fortalecer y modernizar el Sistema Administrativo de Gestión de Recursos Humanos. 1.2 El Decreto Legislativo tiene como finalidad contribuir a la asignación y utilización eficientes de los ingresos correspondientes a los recursos humanos del Sector Público, a través de la implementación de la Planilla Única de Pago del Sector Público alineada con los principios de sostenibilidad y responsabilidad fiscal. 1. Disciplina administrativa: Consiste en que el uso de fondos públicos que impliquen materia de ingresos correspondientes a los recursos humanos del Sector Público debe encontrarse previsto normativamente, de conformidad con lo establecido en el artículo 8. 2. Exclusividad: Consiste en la competencia exclusiva y excluyente de la Dirección General de Gestión Fiscal de los Recursos Humanos del Ministerio de Economía y Finanzas para emitir opinión vinculante en materia de ingresos correspondientes a los recursos humanos del Sector Público, así como para desarrollar normas sobre dicha materia, en lo que corresponda, de conformidad con lo establecido en el artículo 8. 3. Gestión adecuada: Consiste en que las entidades del Sector Público respeten las políticas de gasto público vinculadas a los fines del Estado, siendo ejecutadas mediante una gestión adecuada de los fondos públicos, orientada a resultados de eficiencia, eficacia, economía y calidad. 1. Aplicativo Informático de la Planilla Única de Pago del Sector Público (Aplicativo Informático): Es la herramienta informática de registro de información sobre los Ingresos correspondientes a los recursos humanos del Sector Público, que permite asegurar el registro y controlar la información de personal de manera única, integral y oportuna de la planilla del personal activo y pensionista del Sector Público. 2. Catálogo Único de Conceptos de Ingresos correspondientes a los recursos humanos del Sector Público: Es una herramienta para el registro que contiene la relación de los conceptos de ingresos correspondientes a los recursos humanos del Sector Público, montos por cada concepto, beneficiarios de cada concepto y el marco legal habilitante, entre otros. 3. Gastos por encargo: Son los gastos financiados por fondos públicos destinados a los viáticos, estipendios y subvenciones de las modalidades formativas, propinas, pensiones no contributivas y otros, otorgadas en el marco de una norma con rango de Ley del Gobierno Central y/o con decreto supremo e incluidos en el Catálogo Único de Conceptos de Ingresos. 4. Ingresos correspondientes a los recursos humanos del Sector Público: Son los conceptos financiados por Fondos Públicos para el personal activo en materia de ingresos de personal, aportes y cualquier otro concepto económico o no económico que recibe el personal, de los diferentes regímenes administrativos, contractuales y de las carreras especiales; de los pensionistas de los diferentes regímenes previsionales a cargo del Estado; así como otros gastos por encargo. Todos los anteriores otorgados en el marco de una norma con rango de Ley del Gobierno Central y/o con Decreto Supremo e incluidos en el Catálogo Único de Conceptos de Ingresos. Incluye gastos generados por negociación colectiva y/o laudo arbitral, en lo que corresponda, además de las cargas sociales. 5. Ingresos de Personal: Son las contraprestaciones en dinero, permanentes o periódicas o excepcionales u ocasionales, que realizan las entidades del Sector Público al servidor público bajo cualquier modalidad de contratación, las mismas que comprenden compensaciones, entregas, valorizaciones, bonificaciones, asignaciones, retribuciones, incentivos, beneficios de cualquier naturaleza y pensiones, otorgados en el marco de una norma con rango de Ley del Gobierno Central y/o con Decreto Supremo e incluidos en el Catálogo Único de Conceptos de Ingresos. 6. Planilla Única de Pago del Sector Público: Como parte del subsistema de compensaciones, es la herramienta de gestión de los recursos humanos que contiene la información sobre los ingresos de personal correspondientes a los recursos humanos del Sector Público. 4.1 El Decreto Legislativo es de aplicación a las distintas entidades del Sector Público, definidas por la normatividad de la Administración Financiera del Sector Público. i. Poderes Legislativo, Ejecutivo y Judicial. ii. Ministerio Público, Jurado Nacional de Elecciones, Oficina Nacional de Procesos Electorales, Registro Nacional de Identificación y Estado Civil, Consejo Nacional de la Magistratura, Defensoría del Pueblo, Tribunal Constitucional, Contraloría General de la República y Superintendencia de Banca, Seguros y Administradoras Privadas de Fondos de Pensiones. vi. Organismos públicos de los niveles de gobierno regional y local. i. Empresas Públicas No Financieras del Gobierno Nacional, de los Gobiernos Regionales y de los Gobiernos Locales, fuera del ámbito del Fondo Nacional de Financiamiento de la Actividad Empresarial del Estado (FONAFE). ii. Empresas Públicas No Financieras bajo el ámbito del FONAFE. i. Caja de Pensiones Militar Policial. ii. Seguro Social de Salud (EsSALUD). iii. Administradores de Fondos Públicos. a. Banco Central de Reserva del Perú. i. Empresas Públicas Financieras del Gobierno Nacional, de los Gobiernos Regionales y de los Gobiernos Locales, fuera del ámbito del FONAFE. ii. Empresas Públicas Financieras bajo el ámbito del FONAFE. c. Otras formas organizativas financieras que administren recursos públicos. 5.1 La Gestión Fiscal de los Recursos Humanos se implementa como parte del subsistema de gestión de la compensación del Sistema Administrativo de Gestión de Recursos Humanos, a que se refiere el literal e) del artículo 5 del Decreto Legislativo N° 1023, Decreto Legislativo que crea la Autoridad Nacional del Servicio Civil, rectora del Sistema Administrativo de Gestión de Recursos Humanos. 5.2 La Gestión Fiscal de los Recursos Humanos tiene por finalidad contribuir a la asignación y utilización eficientes de los fondos públicos, a través de la implementación de la Planilla Única de Pago y otros instrumentos, garantizando la sostenibilidad y responsabilidad fiscal. 5.3 La Gestión Fiscal de los Recursos Humanos se define como la evaluación y validación de los ingresos correspondientes a los recursos humanos del Sector Público y la administración del registro de dichos ingresos, con transparencia, legalidad, eficiencia y eficacia. 6.1 La Dirección General de Gestión Fiscal de los Recursos Humanos del Ministerio de Economía y Finanzas, como órgano competente en materia de compensaciones económicas, que forma parte del Sistema Administrativo de Gestión de Recursos Humanos, es la encargada de la Gestión Fiscal de los Recursos Humanos. 1. Realizar el análisis financiero y técnico sobre las políticas en materia de ingresos de personal. 2. Proponer medidas y evaluar las propuestas de los sectores en materia de ingresos de personal, que impliquen el uso de Fondos Públicos, conforme a las leyes respectivas. 3. Administrar el Aplicativo Informático de la Planilla Única de Pago del Sector Público, siendo la única autorizada para crear registros de plazas o puestos, conceptos y montos establecidos en el Catálogo Único de Conceptos de Ingresos correspondientes a los recursos humanos del Sector Público. 4. Registrar en el Aplicativo Informático los beneficios acordados en convenios colectivos y laudos arbitrales aprobados conforme a la normatividad correspondiente, y que cuente con financiamiento en las Leyes Anuales de Presupuesto respectivas. 5. Emitir opinión favorable sobre el Presupuesto Analítico del Personal (PAP) de cada entidad del Sector Público, el cual es remitido previo a su aprobación. 6. Emitir los lineamientos para la aprobación y modificación del Presupuesto Analítico del Personal (PAP), en tanto se implemente la Ley N° 30057, Ley del Servicio Civil, siendo nula toda disposición contraria. 7. Emitir informe favorable para la aprobación de las escalas de ingresos del personal activo autorizado por norma con rango de ley habilitante, las cuales se aprueban mediante Decreto Supremo refrendado por el Ministro de Economía y Finanzas, a propuesta del Titular del Sector. 8. Validar los montos de las valorizaciones de los puestos determinados en el marco de la implementación del Régimen del Servicio Civil regulado por la Ley N° 30057, Ley del Servicio Civil. 9. Emitir opinión respecto de la valorización de puestos propuesta en el Cuadro de Puestos de la Entidad (CPE). 10. Emitir informe sobre los ingresos correspondientes a los recursos humanos del Sector Público para la programación de fondos públicos. 11. Emitir opinión en materia de ingresos correspondientes a los recursos humanos del Sector Público, que incluye en forma vinculante a los regulados por el Decreto Ley N° 19846, Se unifica el Régimen de pensiones del personal militar y policial de la Fuerza Armada y Fuerzas Policiales, por servicios al Estado; del Decreto Legislativo N° 1132, Decreto Legislativo que aprueba la nueva estructura de ingresos aplicable al personal militar de las Fuerzas Armadas y policial de la Policía Nacional del Perú; y, del Decreto Legislativo N° 1133, Decreto Legislativo para el ordenamiento definitivo del Régimen de Pensiones del personal militar y policial, sin que ello afecte las facultades delegadas por norma expresa. 12. Otras atribuciones establecidas por norma expresa en el marco de las competencias del Ministerio de Economía y Finanzas. 1. Operatividad, registro y aprobación: La Dirección General de Gestión Fiscal de los Recursos Humanos es la encargada de la operatividad y el registro de la información en el Aplicativo Informático, así como aprobar conceptos de ingresos de personal del Sector Público No Financiero con excepción de la Superintendencia de Banca, Seguros y Administradoras Privadas de Fondos de Pensiones; Empresas Públicas No Financieras bajo el ámbito del FONAFE y otras formas organizativas que administren recursos. 2. Registro: La Dirección General de Gestión Fiscal de los Recursos Humanos es la encargada de registrar información de ingresos de personal de las Empresas Públicas No Financieras bajo el ámbito del FONAFE y de las otras formas organizativas que administren recursos públicos, así como el Sector Público Financiero. 3. Publicación de información: La Superintendencia de Banca, Seguros y Administradoras Privadas de Fondos de Pensiones y el Banco Central de Reserva del Perú publican en sus portales institucionales la información de sus ingresos correspondientes a sus recursos humanos, en el formato establecido por la Dirección General de Gestión Fiscal de los Recursos Humanos. 7.2 Las entidades del Sector Público se encuentran obligadas a cumplir, bajo responsabilidad funcional, las normas y lineamientos que emita la Dirección General de Gestión Fiscal de los Recursos Humanos en el marco de sus atribuciones. 8.1 La Gestión Fiscal de los Recursos Humanos en el Sector Público se rige por las normas de la Administración Financiera del Sector Público y los del Derecho Público, así como por lo establecido en el presente Decreto Legislativo. 1. Las normas se emiten en el marco de la responsabilidad y disciplina fiscales según las cuales el uso de Fondos Públicos en materia de ingresos de personal, está supeditado a la disponibilidad presupuestaria, cumplimiento de las reglas fiscales, la sostenibilidad de las finanzas del Estado, así como estar previamente autorizado por norma expresa con rango de ley del Gobierno Central, a fin de resguardar el equilibrio presupuestal. 2. Para ello, la norma con rango de ley del Gobierno Central debe contar necesariamente con opinión favorable de la Dirección General de Gestión Fiscal de los Recursos Humanos y de la Dirección General de Presupuesto Público. 3. Los ingresos de los pensionistas se rige por la normatividad que regula los regímenes previsionales vigentes. 4. Los ingresos de personal, escalas de ingresos y los reajustes que fueran necesarios durante el Año Fiscal para los Pliegos Presupuestarios, se aprueban mediante Decreto Supremo refrendado por el Ministro de Economía y Finanzas, a propuesta del Titular del Sector, previa opinión técnica favorable de la Dirección General de Gestión Fiscal de los Recursos Humanos y de la Dirección General de Presupuesto Público, autorizado por norma expresa con rango de ley del Gobierno Central. 5. Si la Autoridad Nacional del Servicio Civil (SERVIR) propone una norma con efectos fiscales, debe coordinarlo previamente con el Ministerio de Economía y Finanzas. 6. En el caso de convenios colectivos o laudos arbitrales corresponde verificar el cumplimiento de la normatividad específica. 7. Las entidades del Sector Público no pueden aprobar disposiciones en materia de ingresos. 1. El Ministerio de Economía y Finanzas, a través de la Dirección General de Gestión Fiscal de los Recursos Humanos, tiene la competencia exclusiva y excluyente para emitir opinión vinculante. 2. En los casos que la opinión o las normas tengan impacto en otros aspectos del Sistema Administrativo, estas deben ser coordinadas con SERVIR. Para el caso que SERVIR emita opinión o normas y estas tengan efectos fiscales, debe coordinar con el Ministerio de Economía y Finanzas. 3. En el caso de compensaciones o condiciones no económicas, si la opinión vinculante o el desarrollo de normas implican un costo fiscal para el Estado, esta se desarrolla en forma coordinada entre la Dirección General de Gestión Fiscal de los Recursos Humanos y SERVIR. 9.1 Los actos administrativos sobre los ingresos de personal emitidos en contravención de las disposiciones establecidas en el marco de la presente norma, que tengan impacto fiscal significativo, son nulos de pleno derecho, inejecutables e inexigibles, bajo responsabilidad del titular de la entidad del Sector Público que los emiten o intervenga. 1. Para el caso de las entidades del Sector Público, la facultad para declarar dicha nulidad prescribe en el plazo de un (1) año, contado a partir de la fecha en que hayan quedado consentidos. 2. Para la Dirección General de Gestión Fiscal de los Recursos Humanos, dicha facultad prescribe en el plazo de un (1) año contado a partir de la fecha en que se conoció el acto administrativo. 9.3 En caso que la Dirección General de Gestión Fiscal de los Recursos Humanos emita la nulidad debe informar de ella a la Contraloría General de la República. 1. Programación Multianual de Ingresos de Personal. 2. Gestión de Ingresos de Personal. 10.2 La Dirección General de Gestión Fiscal de los Recursos Humanos emite, mediante resolución directoral, las disposiciones complementarias para la implementación de dichos componentes, las mismas que son de cumplimiento obligatorio para todas las entidades del Sector Público. 11.1 La Programación Multianual de Ingresos de Personal, dentro del Proceso de Programación de Recursos Públicos de la Administración Financiera del Sector Público, se refiere a la determinación de los costos de los ingresos correspondientes a los Recursos Humanos del Sector Público, por periodos de tres (3) años, incluyendo la proyección de los costos de aquellas medidas en materia de ingresos de personal, a ser implementadas en dicho periodo. 1. El registro actualizado del aplicativo informático correspondiente. 2. El registro de convenios colectivos y laudos arbitrales del Sector Público. 3. La información sobre los gastos por encargo. 12.1 La Gestión de Ingresos de Personal, dentro del Proceso de Gestión de Recursos Públicos de la Administración Financiera del Sector Público, se refiere a la verificación del cumplimiento de las normas que regulan el registro en el Aplicativo Informático de la Planilla Única de Pago del Sector Público, su actualización así como la consistencia de la ejecución del gasto con la información registrada. 12.2 Para su cumplimiento, la Dirección General de Gestión Fiscal de los Recursos Humanos requiere de la Dirección General de Presupuesto Público, los créditos presupuestarios que constituyen los límites para comprometer gastos presupuestales en recursos humanos. El Catálogo Único de Conceptos de Ingresos correspondientes a los recursos humanos del Sector Público, que contiene la relación de los conceptos de ingresos correspondientes a los recursos humanos, montos por cada concepto, beneficiarios de cada concepto, su validación, entre otros. 14.1 El Catálogo Único de Conceptos de Ingresos correspondientes a los recursos humanos del Sector Público se aprueba y actualiza mediante resolución directoral de la Dirección General de Gestión Fiscal de los Recursos Humanos. 14.2 Corresponde a la Dirección General de Gestión Fiscal de los Recursos Humanos la administración del referido Catálogo. 15.1 La Planilla Única de Pago del Sector Público incluye el registro de información sobre los ingresos de personal correspondientes a los recursos humanos del Sector Público. 15.2 La Planilla Única de Pago del Sector Público se orienta a promover que el Estado modernice la Gestión Fiscal de los Recursos Humanos del Sector Público e implemente la interoperabilidad de información entre las entidades del Sector Público que la integran, optimizando el manejo de la información y reduciendo la duración de los procedimientos en la administración de las planillas, para obtener mayores niveles de equidad, eficacia y eficiencia, reflejándose en un mejor servicio del Estado a la ciudadanía. 16.1 Las entidades del Sector Público se encuentran obligadas a cumplir, bajo responsabilidad funcional, las normas y lineamientos que se emitan en el marco de la Gestión Fiscal de los Recursos Humanos. 16.2 En el caso que la Dirección General de Gestión Fiscal de los Recursos Humanos advirtiera del incumplimiento de las disposiciones establecidas en el Decreto Legislativo a la entidad del Sector Público y esta hubiese hecho caso omiso a ella, la Dirección General debe comunicar, adjuntando un informe en donde se detalle el impacto fiscal significativo, a la Contraloría General de la República para que esta actúe de acuerdo a su competencia. a. Las entidades del Sector Público, según les corresponda, otorgan a sus funcionarios, servidores y/o pensionistas, 12 (doce) remuneraciones y/o pensiones anuales, una Bonificación por Escolaridad, un aguinaldo o gratificación por Fiestas Patrias y un aguinaldo o gratificación por Navidad. En el caso de los servidores bajo el régimen del Decreto Legislativo Nº 1057, Decreto Legislativo que regula el régimen especial de contratación administrativa de servicios; y, regímenes especiales, estos se regulan por su propia normatividad. b. Las Leyes de Presupuesto del Sector Público fijan los montos por concepto de Aguinaldos o Gratificaciones por Fiestas Patrias y Navidad, según corresponda, y Bonificación por Escolaridad. c. El otorgamiento en cada año fiscal de los conceptos antes señalados es reglamentado mediante decreto supremo refrendado por el Ministro de Economía y Finanzas, a propuesta de la Dirección General de Gestión Fiscal de los Recursos Humanos. d. En caso que se perciban beneficios de igual o similar naturaleza a los regulados en el presente artículo, queda prohibida la percepción de los beneficios aprobados en las Leyes de Presupuesto del Sector Público. a. Prohíbase la fijación y los pagos de ingresos y aportes de personal a personas naturales, en moneda extranjera, incluidos los que provengan de Convenios de Administración de Recursos, Costos Compartidos, Convenios de Cooperación Técnica o Financiera y similares. b. No se encuentran comprendidos en los alcances del presente inciso el personal del Ministerio de Relaciones Exteriores, Fuerzas Armadas y Policía Nacional que cumple servicio en el extranjero. a. Las autorizaciones para la aprobación de escalas remunerativas en toda ley que establezca el fortalecimiento de una entidad del Sector Público se aplican por única vez. b. Las escalas de ingresos y las bonificaciones válidamente aprobadas en el marco de la implementación de las leyes de fortalecimiento se mantienen vigentes. 4. Sobre los Formatos de Planillas y Boletas de Pago a ser usados por las entidades del Sector Público, se establece que la Dirección General de Gestión Fiscal de los Recursos Humanos del Ministerio de Economía y Finanzas es el responsable de definirlos. El Aplicativo Informático de la Planilla Única de Pago del Sector Público es la herramienta informática de registro de información sobre la Planilla Única de Pago del Sector Público, que permite asegurar el registro y controlar la información de personal de manera única, integral y oportuna de la planilla del personal activo y pensionista del Sector Público. 19.1 El Aplicativo Informático contiene el registro de información que se ajusta al marco normativo vigente sobre los datos personales, plazas y puestos, conceptos de ingresos correspondientes a los recursos humanos, montos por cada concepto, obligaciones y aportaciones a cargo de las entidades del Sector Público. 19.2 Los ingresos de servidores públicos y/o funcionarios otorgados en el marco de los Convenios de Cooperación Técnica Internacional, independientemente de su forma de contratación y fuente de financiamiento, son registrados en el Aplicativo Informático al que se refiere la presente norma y se encuentran sujetos al tope de ingresos regulado en la Ley N° 28212, Ley que regula los ingresos de los Altos Funcionarios Autoridades del Estado y dicta otras medidas, y en el Decreto de Urgencia N° 038-2006, Modifican la Ley Nº 28212 y dicta otras medidas. 19.3 La información registrada en el Aplicativo Informático tiene carácter confidencial y constituye parte de los datos protegidos por la Ley Nº 29733, Ley de Protección de Datos Personales. 20.1 En concordancia con lo establecido en el Decreto Legislativo N° 1246, Decreto Legislativo que aprueba diversas medidas de simplificación administrativa, se realiza la interoperabilidad informativa a favor de la Dirección General de Gestión Fiscal de los Recursos Humanos, que implica la capacidad de los sistemas informáticos y procesos de intercambiar datos e información de personas con otras entidades del Sector Público con la finalidad de verificar y validar que la información del Aplicativo Informático sea consistente. 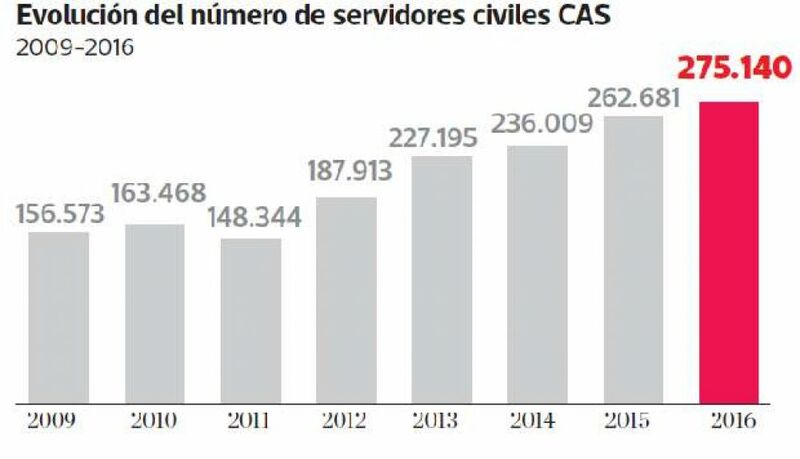 20.2 La Autoridad Nacional del Servicio Civil (SERVIR), dentro del Sistema Administrativo de Gestión de Recursos Humanos, accede de manera gratuita e inmediata a las bases de datos y asimismo suministra la información actualizada solicitada por la Dirección General de Gestión Fiscal de los Recursos Humanos, a fin de asegurar la integridad y oportunidad de la información con el Aplicativo Informático, en el marco de sus competencias. 20.3 El Ministerio de Trabajo y Promoción del Empleo (MTPE), la Superintendencia Nacional de Aduanas y de Administración Tributaria (SUNAT), el Registro Nacional de Identificación y Estado Civil (RENIEC), la Superintendencia Nacional de Migraciones del Perú, Superintendencia Nacional de Educación Superior Universitaria (SUNEDU), la Superintendencia Nacional de Registros Públicos (SUNARP), Organismo Supervisor de las Contrataciones del Estado (OSCE) y cualquier otra entidad del Sector Público que dispongan con información referida a personas, permiten el acceso de manera gratuita e inmediata a la Dirección General de Gestión Fiscal de los Recursos Humanos. Asimismo, pondrán a disposición de SERVIR, cuando esta lo requiera, información sobre el servicio civil que fuera necesaria para el ejercicio de las funciones de la rectoría del sistema administrativo de gestión de recursos humanos. 20.4 La información a la que se acceda tiene carácter confidencial y constituye parte de los datos protegidos por la Ley Nº 29733, Ley de Protección de Datos Personales. 21.1 La Dirección General de Gestión Fiscal de los Recursos Humanos ordena y actualiza la información contenida en el Aplicativo Informático. 21.2 El ordenamiento y actualización comprenden la adecuación del régimen de percepción de ingresos o el régimen administrativo o contractual correspondiente, previa observancia del marco legal y conforme se establezca en el Reglamento. El Decreto Legislativo es refrendado por el Presidente del Consejo de Ministros y el Ministro de Economía y Finanzas. El presente Decreto Legislativo entra en vigencia al día siguiente de su publicación, salvo los artículos 10, 13, 14, 15, inciso 4 del artículo 17, 18, 19 y 20 que se implementan en forma progresiva, de acuerdo a lo que se disponga en el Reglamento. El reglamento del Decreto Legislativo se aprueba mediante Decreto Supremo refrendado por el Ministro de Economía y Finanzas dentro del plazo de ciento ochenta (180) días hábiles contados a partir de su publicación. Las disposiciones complementarias necesarias para la aplicación del Decreto Legislativo, tales como las previstas en los artículos 10, 14, inciso 4 del artículo 17, 19 y 20 se aprueban mediante Resolución Directoral de la Dirección General de Gestión Fiscal de los Recursos Humanos dentro del plazo de ciento ochenta (180) días hábiles contados a partir de su publicación. La implementación de lo establecido en el presente Decreto Legislativo se financia con cargo al presupuesto institucional del Ministerio de Economía y Finanzas, sin demandar recursos adicionales al Tesoro Público. En tanto se implemente el Aplicativo Informático de la Planilla Única de Pago del Sector Público, establecido en el artículo 18 los procesos de la gestión fiscal de los recursos humanos son implementados a través del Aplicativo Informático para el Registro Centralizado de Planillas y de Datos de los Recursos Humanos del Sector Público (AIRHSP), para lo cual las entidades del Sector Público deben realizar las adecuaciones en sus aplicativos informáticos de recursos humanos para interoperar con dicho aplicativo. El Aplicativo Informático para el Registro Centralizado de Planillas y de Datos de los Recursos Humanos del Sector Público (AIRHSP) registra los datos personales, conceptos de ingresos de los recursos humanos validados, plazas, puestos, entre otros. Para el caso del registro de plazas y puestos en el Aplicativo Informático para el Registro Centralizado de Planillas y de Datos de los Recursos Humanos del Sector Público (AIRHSP), además del marco normativo vigente, las entidades del Sector Público deben contar previamente con los créditos presupuestarios suficientes que financien las acciones relacionadas al personal, beneficiarios y conceptos que se registren, bajo responsabilidad del Titular del Pliego. Asimismo, para el caso de conceptos de pago ordenados por mandado judicial con calidad de cosa juzgada y en ejecución, solo se registran cuando se tenga los créditos presupuestarios necesarios, por lo que el pago se hace efectivo de acuerdo al marco normativo vigente. Los datos registrados en el referido aplicativo sirven de base para las fases de formulación, programación, ejecución y evaluación del proceso presupuestario, número de plazas, políticas de ingresos, obligaciones sociales y previsionales, y gastos en personal cualquiera sea su modalidad de contratación directa o indirecta. Es condición necesaria para realizar el pago de los ingresos correspondientes a los recursos humanos, cualquiera sea su forma, modalidad, periodicidad, mecanismo y fuente de financiamiento, que los datos personales de los beneficiarios y las planillas de pago se encuentren expresamente descritos y registrados en el aplicativo informático. Apruébese el Reglamento del Decreto Legislativo Nº 1153, que regula la Política Integral de Compensaciones y Entregas Económicas del Personal de la Salud al Servicio del Estado, el mismo que consta de cuatro (4) capítulos, diecisiete (17) artículos, siete (7) Disposiciones Complementarias Finales y dos (2) Disposiciones Complementarias Transitorias, que en anexo forma parte integrante del presente Decreto Supremo. El presente Decreto Supremo y el Reglamento aprobado se difunden en los portales institucionales de la Presidencia del Consejo de Ministros (www.pcm.gob.pe), del Ministerio de Salud (www.minsa.gob.pe) y del Ministerio de Economía y Finanzas (www.mef.gob.pe), el mismo día de su publicación en el Diario Oficial “El Peruano”. El presente Decreto Supremo es refrendado por el Presidente del Consejo de Ministros, la Ministra de Salud y el Ministro de Economía y Finanzas. Dado en la Casa de Gobierno, en Lima, a los doce del mes de julio del año dos mil dieciocho. El presente reglamento tiene por objeto establecer las normas reglamentarias y complementarias para la aplicación del Decreto Legislativo Nº 1153, que establece la Política Integral de Compensaciones y Entregas Económicas del Personal de la Salud al Servicio del Estado, en adelante Decreto Legislativo. 2.1. Las normas del presente reglamento son aplicables a las entidades señaladas en el numeral 3.1 del artículo 3, y al personal de la salud que se detalla en los literales a) y b) del numeral 3.2 del artículo 3 del Decreto Legislativo. 2.2. El personal o el servidor o la servidora civil no comprendidos en los literales a y b) del numeral 3.2 del artículo 3 del Decreto Legislativo, aun cuando presten servicios en áreas donde se realizan funciones de carácter asistencial, no están considerados dentro de los alcances de la presente norma. 3.1. Puesto.- Es el conjunto de funciones y responsabilidades que corresponde a una posición dentro de una entidad, así como los requisitos para su adecuado ejercicio; el mismo que se encuentra descrito en los documentos de gestión de la entidad. 3.2. Valorización Principal.- Es el ingreso económico que percibe el personal de la salud como contraprestación por el tiempo efectivamente laborado, considerando lo establecido en el artículo 4 del presente Reglamento, como concepto único que se otorga mensualmente con carácter permanente. 3.3. Valorización Ajustada.- Se compone por las bonificaciones que percibe el personal de la salud, en relación al puesto y en razón de la entidad, son excluyentes entre sí. 3.4. Valorización Priorizada.- Es la entrega económica que percibe el personal de la salud y, se asigna al puesto, de acuerdo a situaciones excepcionales y particulares relacionadas con el desempeño en el puesto por periodos mayores a un (1) mes. Esta modalidad de compensación se restringirá al tiempo que permanezcan las condiciones de su asignación. 3.5. Servicios de Salud Individual.- Son los servicios prestados por el personal de la salud en el campo asistencial de la salud brindados a la persona, destinados a mantener o recuperar su salud, comprende prestaciones en salud de carácter promocional, preventivo, recuperativo y rehabilitación. 3.6. Servicios de Salud Pública.- Son los servicios prestados por el personal de la salud en el campo asistencial de la salud, dirigidos a la protección de la salud a nivel poblacional, de carácter asistencial, administrativo, de investigación o de producción y comprende las funciones de salud pública, establecidas en el numeral 5.1 del artículo 5 del Decreto Legislativo. 3.7. Servicios Críticos.- Son los servicios prestados en el campo asistencial de la salud individual, en los servicios hospitalarios como Emergencia, Unidad de Cuidados Intensivos, Unidad de Cuidados Intermedios y Unidad de Quemados. 3.8. Del Servicio de Guardia.- Es la actividad que realiza el personal de la salud por necesidad del servicio durante doce (12) horas continuas, que permite garantizar la atención en los servicios de salud en las entidades descritas en el numeral 3.1 del artículo 3 del Decreto Legislativo. Este servicio forma parte de la jornada laboral del personal de salud. 3.9. Personal de la salud.- Es el personal señalado en los literales a) y b) del numeral 3.2 del artículo 3 del Decreto Legislativo, que tiene la condición de personal nombrado y ocupa un puesto vinculado a la salud individual o salud pública o presta servicios en alguna de las entidades comprendidas en el numeral 3.1 del artículo 3 del referido Decreto Legislativo. Artículo 4.- Del Servicio Efectivamente Realizado. Para efectos del pago de las compensaciones económicas y entregas económicas al personal de salud, en el marco del presente reglamento, es computable el servicio efectivamente realizado. 4.1 Licencia por enfermedad, accidentes comprobados e invalidez temporal, de acuerdo al plazo establecido en la normatividad sobre seguridad social en salud. 4.3 Licencia por paternidad, adopción, por cuidado de familiares directos en estado grave o terminal. 4.4 Licencia y/o permiso por función sindical otorgada por la entidad empleadora. 4.5 Licencia por citación policial, militar, fiscal, judicial u otras citaciones derivadas de administración interna de las entidades públicas vinculadas al ejercicio de las funciones de la entidad. 4.6 Licencia por capacitación, cuando es otorgada por la entidad con goce de haber. 4.7 Licencia por fallecimiento de familiar: padres, madres, hijos, hijas, cónyuge o conviviente, hermanos y hermanas. 4.8 Licencia de descanso pre y post natal y por partos múltiples. 4.9 El permiso por lactancia materna. 4.10 Otros supuestos establecidos expresamente por Ley. 5.1 La Oficina de Presupuesto o la que haga las veces en las entidades comprendidas en el ámbito del Decreto Legislativo, es responsable de garantizar la disponibilidad y certificación presupuestal, de las compensaciones y entregas económicas, el servicio de guardia y la asignación transitoria previstas en el Decreto Legislativo, para lo cual deberá coordinar con la Oficina de Recursos Humanos o la que haga las veces en las entidades comprendidas en el ámbito del Decreto Legislativo, debiendo considerar las valorizaciones establecidas mediante norma vigente. 5.2 Las compensaciones y entregas económicas, el servicio de guardia y la asignación transitoria previstas en el Decreto Legislativo, de las y los beneficiarios deben encontrarse registrados en el Aplicativo Informático del Registro Centralizado de Planillas y de Datos de los Recursos Humanos del Sector Público (AIRHSP) del Ministerio de Economía y Finanzas. Los datos personales y laborales de las y los beneficiarios/as, deben encontrarse registrados en el aplicativo informático INFORHUS del Registro Nacional del Personal de la Salud (RNPS), siendo este registro responsabilidad de cada una de las entidades señaladas en el numeral 3.1 del artículo 3 del Decreto Legislativo, a través de sus Oficinas de Recursos Humanos o quien haga las veces de las entidades que se encuentran bajo el ámbito de aplicación de la presente norma. 5.3 El personal de la salud debe cumplir con el perfil, condiciones y/o criterios previstos para la percepción de la valorización respectiva, los cuales se aprueban mediante Decreto Supremo refrendado por el Ministro de Salud y a propuesta de este último. 5.4 Las valorizaciones ajustadas no pueden percibirse de manera simultánea. 5.6 Las valorizaciones priorizadas pueden percibirse simultáneamente con solo una de las valorizaciones ajustadas y con la entrega económica por servicio de guardia, según corresponda, siempre que cumplan con lo señalado en el numeral 5.3 del artículo 5 del presente Reglamento. Esta regla no es aplicable a la Bonificación por Puesto Especializado o Dedicación Exclusiva en Servicios de Salud Pública ni para la Bonificación por Puesto en Servicios en Salud Pública, previstas en los literales c) y e) del numeral 8.2 del artículo 8 del Decreto Legislativo, respectivamente. 5.7 En los casos que corresponda, la asignación por cumplimiento de metas institucionales, indicadores de desempeño y compromiso de mejora de los servicios, se otorga independientemente a la valorización ajustada, priorizada y servicio de guardia. 5.8 El personal de la salud que se encuentra en la condición de destacado debe percibir la valorización principal de la dependencia de origen. La dependencia de destino debe garantizar la disponibilidad y certificación presupuestal para el otorgamiento de las valorizaciones ajustadas, valorizaciones priorizadas, entrega económica por servicio de guardia, siempre que cumpla con lo establecido en el numeral 5.3 del artículo 5 del presente reglamento, bajo responsabilidad administrativa. 5.9 En caso finalice la función en el puesto, por el término de la designación, rotación u otra modalidad de desplazamiento del personal de la salud, dejará de percibir la valorización ajustada y/o valorizaciones priorizadas correspondientes a dicho puesto, debiendo adecuarse a las compensaciones y entregas económicas que pudiera corresponder al puesto de destino. 5.10 El personal de la salud tiene derecho al pago de aguinaldo de fiestas patrias, navidad y la bonificación por escolaridad, de acuerdo a lo establecido en la Ley General del Sistema Nacional de Presupuesto y las leyes de Presupuesto del Sector Público para cada año fiscal. • Por puesto de Responsabilidad Jefatural de Departamento o Servicio. • Por puesto de Responsabilidad Jefatural en Establecimientos de Salud I-3, I-4, Microrredes o Redes. • Por Puesto Especializado o de dedicación exclusiva en Servicios de Salud Pública. c. La entrega económica vacacional. • Zona Alejada o de Frontera. • Atención Primaria de Salud. • Atención en Servicios Críticos. • Atención Específica de Soporte. d. La entrega económica vacacional. e. La entrega económica por 25 y 30 años de servicio. f. La entrega económica por luto y sepelio. g. La entrega económica por servicios complementarios en salud. h. La entrega económica por servicio de guardia. i. La entrega económica por cumplimiento de las metas institucionales, indicadores de desempeño y compromisos de mejora de los servicios. 6.1. La entrega económica otorgada por el derecho vacacional que le corresponde percibir al personal de la salud, por cada año laboral cumplido, contabilizado desde la fecha que ingresó a prestar servicio en la entidad, debe ser equivalente al monto mensual de la valorización principal más la valorización ajustada y/o la valorización priorizada y/o asignación transitoria, de corresponder. Los supuestos descritos en el artículo 4 del presente reglamento, son considerados para el cómputo del año laboral. 6.2. La acumulación de períodos vacacionales procede de manera excepcional y solo hasta por dos (2) períodos, por acuerdo escrito con la entidad preferentemente por razones del servicio, y que sea suscrito con anterioridad al vencimiento de la oportunidad para hacer uso del descanso vacacional. Las entidades adoptarán las medidas necesarias para asegurar el descanso vacacional del personal de la salud según la programación de su rol vacacional. 6.4. Si se da el término de la relación laboral del personal de la salud antes de que éste haya cumplido el año de servicio, percibirá la entrega económica por derecho vacacional de manera proporcional al tiempo trabajado por tantas dozavas y treintavas partes como correspondan. 6.6. La falta de disfrute oportuno del descanso vacacional no genera el pago de indemnización alguna a las y los beneficiarios, sin perjuicio de las responsabilidades administrativas. a) El personal de la salud debe ocupar un puesto por periodos mayores a un (1) mes. b) El puesto ocupado se encuentra en establecimientos de salud, Direcciones de Redes de Salud o el que haga sus veces en las otras entidades comprendidas en el ámbito de aplicación del Decreto Legislativo, ubicados en los distritos expresamente declarados por el Estado Peruano en “Estado de Emergencia” en el Valle de los Ríos Apurímac, Ene y Mantaro (VRAEM), así como en las zonas declaradas en estado de emergencia por circunstancias similares a las del VRAEM. c) El pago está supeditado a la vigencia de la situación de emergencia de acuerdo a la normatividad vigente, la que debe ser verificada por las entidades señaladas en el literal b) precedente. 7.2. Al término del estado de emergencia, el personal de la salud dejará de percibir dicha valorización. 7.3. La percepción de la entrega económica por Zona de Emergencia, en el caso que el personal de salud ocupe un puesto por periodos mayores a un (1) mes, será calculada en proporción a un treintavo (1/30) de esta valorización por cada día laborado hasta la fecha de término del estado de emergencia. 8.1. Los criterios técnicos para identificar los establecimientos de salud de los Gobiernos Regionales o los que hagan sus veces en las otras entidades comprendidas en el ámbito del Decreto Legislativo, ubicados en zona alejada o de frontera, son aprobados mediante Decreto Supremo, refrendado por el Ministro de Salud, a propuesta de este último. 8.2. Las entidades, conforme a los criterios técnicos a que se refiere el párrafo anterior, aprueban el listado de los establecimientos de salud o los que hagan sus veces en las otras entidades comprendidas en el ámbito del Decreto Legislativo, ubicados en zona alejada o de frontera; excepto los gobiernos regionales y sus organismos públicos, cuyo listado es aprobado por el Ministerio de Salud. 8.3. Las Direcciones/Gerencias Regionales de Salud, para el caso de los Gobiernos Regionales, son las responsables de remitir al Ministerio de Salud el sustento técnico y la documentación que respalde la solicitud de inclusión o exclusión de establecimientos de salud del listado señalado en el párrafo anterior; información que es suministrada bajo responsabilidad administrativa. 8.4. En caso que un establecimiento de salud sea retirado del listado de los establecimientos ubicados en zonas alejadas o de frontera o los que hagan sus veces en las otras entidades comprendidas en el ámbito del Decreto Legislativo, por dejar de cumplir con los criterios técnicos, el personal de la salud de dicho establecimiento o el que haga sus veces, dejará de percibir la valorización priorizada por zona alejada o de frontera. Los pagos de ésta valorización será proporcional a los días trabajados hasta 01 día antes de entrar en vigencia la referida norma. Artículo 9.- De las entregas económicas por 25 y 30 años de servicio, sepelio y luto. 9.1. Entrega económica por cumplir 25 o 30 años de servicio efectivo: Será un monto equivalente a dos (2) valorizaciones principales mensuales al cumplir veinticinco (25) años de servicio efectivo al Estado, y de tres (3) valorizaciones principales mensuales al cumplir treinta (30) años de servicio efectivo al Estado. • Cónyuge o conviviente reconocido/a en la forma prescrita por Ley. La entrega económica por sepelio se establece y fija en un monto único de Tres Mil y 00/100 Soles (S/ 3 000,00). La entrega económica por luto se establece y fija en un monto único de Tres Mil y 00/100 Soles (S/ 3 000,00) por cada evento. Artículo 10.- Características, condiciones y procedimientos para las entregas económicas por 25 o 30 años de servicios efectivos, por sepelio y luto. 10.1. Las entregas económicas por 25 o 30 años de servicios efectivos, por sepelio y luto, se otorgarán de oficio o a petición de parte. En el caso de las entregas económicas por 25 o 30 años de servicios efectivos se debe considerar los criterios y condiciones establecidas al momento de cumplirse el tiempo de servicio. 10.2. Para la percepción de las entregas económicas por sepelio o luto se debe adjuntar copia de la documentación necesaria que acredite o sustente el deceso del personal de la salud o los familiares, según corresponda. 10.3. Las entregas económicas por 25 o 30 años de servicios efectivos, por sepelio y luto, no tienen carácter pensionable, no están sujetas a cargas sociales, ni forman parte de la base de cálculo para determinación de la compensación por tiempo de servicios, encontrándose afectas al Impuesto a la Renta. Artículo 11.- De la Compensación por Tiempo de Servicios. El cálculo de la Compensación por Tiempo de Servicios (CTS) del personal de la salud, equivale al cien por ciento (100%) del promedio mensual del monto resultante de la Valorización Principal que les fueron pagadas en cada mes durante los últimos treinta y seis (36) meses de servicio efectivamente prestado, por cada año de servicio efectivamente prestado. En caso que la antigüedad del servicio efectivamente prestado sea menor a treinta y seis (36) meses, se hace el cálculo de manera proporcional. El cálculo de la CTS del personal de la salud, correspondiente a los periodos anteriores a la vigencia del Decreto Legislativo Nº 1153, se efectúa considerando la normatividad vigente en dichos periodos. El pago de la CTS se efectúa al momento del cese del personal de la salud. Se considera servicio de guardia a la actividad que el personal de la salud realiza por necesidad o continuidad del servicio a requerimiento de las entidades descritas en el numeral 3.1 del artículo 3, del Decreto Legislativo, debiendo estar debidamente justificado, atendiendo a los criterios de periodicidad, duración, modalidad, responsabilidad, voluntariedad u obligatoriedad. El número de guardias está determinado en la normativa vigente que regula el servicio de guardias en las entidades comprendidas dentro del Decreto Legislativo. 12.1. Periodicidad.- Es el espacio de tiempo que debe existir entre un turno programado de servicio de guardia y el siguiente turno, respetándose el descanso post guardia. 12.2. Duración.- Es el tiempo que comprende desde el inicio al término del servicio de guardia y cuya programación es de doce (12) horas continuas de trabajo efectivo. Es la actividad que el personal de la salud realiza de manera efectiva, como parte de la jornada de trabajo, por necesidad y continuidad del servicio de salud a requerimiento de la entidad debidamente justificado. Solo se realizan en los servicios de emergencia, cuidados intensivos, cuidados intermedios, centro quirúrgico de emergencia, centro obstétrico, banco de sangre para atención de emergencia, laboratorio para atención de emergencia, diagnóstico por imágenes para emergencia, hospitalización y farmacia de emergencias. Esta puede ser diurna, nocturna y retén. En este último caso es efectuado por profesionales de la salud cuya especialidad no está comprendida en el equipo de guardia con presencia física permanente, quienes acudirán al servicio de guardia cuando la necesidad del servicio lo requiera. Es la actividad que el personal de la salud realiza de manera efectiva en el establecimiento de Salud con o sin internamiento, del primer nivel de atención, como parte de la jornada de trabajo, por necesidad y continuidad del servicio de salud a requerimiento de la entidad debidamente justificado. En esta se desarrollan actividades intra murales y extramurales en el marco del modelo de atención integral de salud. En el caso de realizar actividades extramurales debe obligatoriamente presentar el reporte correspondiente. Estas pueden ser diurnas o nocturnas, las guardias nocturnas solo pueden realizarse en establecimientos de salud con atención de 24 horas. Las entidades comprendidas en el numeral 3.1 del artículo 3 del Decreto Legislativo Nº 1153, que no articulan en las modalidades mencionadas precedentes, deben adecuar el servicio de guardia de acuerdo al horario (guardia diurna / guardia nocturna). 12.4. Responsabilidad.- Es el compromiso del personal de la salud, jefes y directivos de cumplir con sus funciones para el normal desarrollo de las guardias programadas de conformidad con la normativa vigente de cada entidad. 12.5. Voluntariedad.- A partir de los 50 años de edad, el personal de la salud tendrá derecho a ser exonerado, a solicitud, de prestar servicio de guardia. Igual derecho rige para quienes por motivos de salud estén impedidos de realizar dicho servicio. 12.6. Obligatoriedad.- Es la exigencia establecida mediante norma, por la cual el personal de la salud realiza el servicio de guardia según las necesidades del servicio, asegurando la continuidad del mismo en la entidad. La compensación no económica, es el conjunto de beneficios no monetarios que la entidad pública destina al personal de la salud con el objetivo específico de motivarlo y elevar su competitividad. No son de libre disposición del personal de la salud, ni tampoco constituyen ventaja patrimonial. 13.2. Premios o condecoraciones por innovación de carácter científico, académico o cultural. 13.3. Capacitaciones oficializadas por la entidad donde labora el personal de la salud. Artículo 14.- De las faltas relacionadas al otorgamiento de compensaciones y entregas económicas. 14.1. Crear nuevas compensaciones o entregas económicas, o modificar las existentes, sin contar con norma de rango de Ley que lo autorice. 14.2. Omitir en la planilla única de pagos el pago de las compensaciones y entregas económicas, los mismos que deben encontrarse previamente registrados en el Aplicativo Informático. 14.3. Haber pagado compensaciones o entregas económicas, que no se encuentren contempladas en el Decreto Legislativo o a través de norma con rango de Ley. 14.4. Haber invocado o utilizado un perfil, condiciones y/o criterios para la percepción de las compensaciones o entregas económicas, diferentes a las establecidas en la normatividad vigente. 14.5. Haber aprobado o pagado alguna compensación y/o entrega económica, incluyendo el servicio de guardia, que no cuente previamente con la certificación presupuestal correspondiente. 14.6. Haber pagado alguna compensación y/o entrega económica, incluyendo el servicio de guardia, que no se encuentre previamente consignada en el Aplicativo Informático para el Registro Centralizado de Planillas y de Datos de los Recursos Humanos del Sector Público del Ministerio de Economía y Finanzas. 14.7. Omitir el pago de alguna compensación y/o entrega económica, incluyendo el servicio de guardia, al personal de la salud que le corresponde por haber cumplido con el perfil, condiciones y/o criterios al ocupar un determinado puesto. 14.8. Favorecer la percepción de las compensaciones y/o entregas económicas, incluyendo el servicio de guardia, al personal excluido del ámbito de aplicación del Decreto Legislativo. 14.9. Haber aprobado y/o efectuar el pago de la entrega económica por servicio de guardia al personal de la salud que no haya prestado efectivamente dicho servicio. Artículo 15.- De las faltas relacionadas al registro de datos del personal de la salud. 15.1.1. No haber registrado los datos personales de las y los beneficiarios y las compensaciones y/o entregas económicas, incluyendo el servicio de guardia, en el Aplicativo Informático para el Registro Centralizado de Planillas y de Datos de los Recursos Humanos del Sector Público, a cargo del Ministerio de Economía y Finanzas, mediante los procesos establecidos por dicha entidad o en el Registro Nacional de Personal de la Salud del Ministerio de Salud. 15.1.2. No mantener actualizado el registro de los datos personales de las y los beneficiarios y las compensaciones y/o entregas económicas, incluyendo el servicio de guardia, en el Aplicativo Informático para el Registro Centralizado de Planillas y de Datos de los Recursos Humanos del Sector Público, a cargo del Ministerio de Economía y Finanzas, mediante los procesos establecidos por dicha entidad o en el Registro Nacional de Personal de la Salud del Ministerio de Salud. 15.2.1. Efectuar un incorrecto registro de datos del personal de la salud en el Registro Nacional de Personal de la Salud del Ministerio de Salud o en el Aplicativo Informático para el Registro Centralizado de Planillas y de Datos de los Recursos Humanos del Sector Público del Ministerio de Economía y Finanzas, que ocasione el beneficio propio o de terceras personas y, que esto genere que se perciban compensaciones y/o entregas económicas que no correspondan. La sanción impuesta ante las faltas administrativas contempladas en los artículos 14 y 15 del presente Reglamento, genera responsabilidad administrativa para el personal que haya incurrido en los supuestos de infracción antes indicados, la misma que se determina conforme a las disposiciones del régimen disciplinario de la Ley Nº 30057, Ley del Servicio Civil y su Reglamento General. Las compensaciones y entregas económicas a que hace referencia el presente reglamento se financian conforme lo regulado en el artículo 16 del Decreto Legislativo con cargo al presupuesto institucional de cada una de las entidades señaladas en el numeral 3.1 del artículo 3 del Decreto Legislativo. El Ministerio de Salud dictará los lineamientos técnicos para la adecuada ejecución, supervisión y evaluación del presente reglamento. La información contenida en el Registro Nacional de Personal de la Salud del Ministerio de Salud debe ser concordante con la que se encuentre en el Aplicativo Informático para el Registro Centralizado de Planillas y de Datos de los Recursos Humanos del Sector Público del Ministerio de Economía y Finanzas. Ambos Ministerios coordinan las acciones respectivas para la interoperabilidad de ambos registros. Para la asignación de las entregas económicas al puesto ocupado por personal de la salud en los establecimientos de salud del Ministerio de Salud, los organismos públicos, los gobiernos regionales y los establecimientos que hagan sus veces en las otras entidades comprendidas en el ámbito de aplicación del Decreto Legislativo, deben cumplir con el perfil señalado en el numeral 5.3 del presente Reglamento. CUARTA.- Del pago a los profesionales de la salud en el ámbito del SERUMS y Residentados. Salvo disposición legal en contrario, el pago del monto de las entregas económicas priorizadas que correspondan y del servicio de guardia a los y las profesionales de la salud comprendidos en el Servicio Rural y Urbano Marginal de Salud-SERUMS y Residentados, son otorgados por la entidad que financia las vacantes, para lo cual la determinación de vacantes debe contar con la correspondiente certificación presupuestal. Las entidades comprendidas dentro del ámbito de aplicación del Decreto Legislativo, pueden emitir las disposiciones internas que consideren necesarias para adecuarse a lo dispuesto en presente reglamento Dichas disposiciones son de aplicación para el personal de la salud nombrado que ocupa un puesto vinculado a la salud individual o salud pública o que preste servicios en las entidades comprendidas en el artículo 3 del Decreto Legislativo. Mediante Decreto Supremo, a propuesta del Ministerio de Salud, en el plazo de 90 días calendario de la entrada en vigencia del presente reglamento, se aprueba los aspectos relacionados al funcionamiento del servicio de guardia, en el ámbito de aplicación de las entidades comprendidas en el numeral 3.1 del artículo 3 del Decreto Legislativo. SETIMA.- Del Listado Nacional de Establecimientos de Salud Estratégicos. El Listado Nacional de Establecimientos de Salud Estratégicos dentro del ámbito señalado en el numeral 3.1 del artículo 3 del Decreto Legislativo, es establecido por el Ministerio de Salud mediante Resolución Ministerial. De acuerdo a lo señalado en la Cuarta Disposición Complementaria Transitoria del Decreto Legislativo, las y los profesionales de la salud que ocupan un puesto de dirección o de confianza, se encuentran dentro del ámbito señalado en el literal a) del numeral 3.2 del artículo 3 del referido Decreto Legislativo. Los y las profesionales de la salud que ocupan puestos destinados a funciones administrativas que sean de dirección o de confianza desde antes de la entrada en vigencia del Decreto Legislativo, bajo la modalidad de designación, debe percibir la valorización principal de acuerdo a su nivel de carrera profesional más la asignación transitoria correspondiente que le permita continuar percibiendo el monto del ingreso mensual, los cuales deben estar registrados en el Aplicativo informático para el registro centralizado de planillas y de datos de los recursos humanos del sector público del Ministerio de Economía y Finanzas. En ningún caso percibirán los montos de las valorizaciones ajustadas y/o priorizadas, ni del servicio de guardia en cualquiera de sus modalidades. En el caso de los y las profesionales de la salud que ocupan puestos destinados a funciones administrativas que sean de dirección o de confianza, bajo la modalidad de designación, posterior a la entrada en vigencia del Decreto Legislativo, percibirán el monto previsto para dicha plaza, los cuales deben estar registrados en el Aplicativo informático para el registro centralizado de planillas y de datos de los recursos humanos del sector público del Ministerio de Economía y Finanzas. Los y las profesionales de la salud a que se refiere el presente artículo percibirán sus ingresos de acuerdo a lo establecido en párrafos precedentes en tanto se implemente la Ley Nº 30057, Ley del Servicio Civil, en las entidades comprendidas en el ámbito de aplicación del Decreto Legislativo. SEGUNDA.- De la continuidad del personal de la salud en la percepción de la Asignación Transitoria. El personal de la salud que venga laborando a la fecha de entrada en vigencia del Decreto Legislativo, en aplicación de lo establecido en su Segunda Disposición Complementaria Transitoria, continuará percibiendo el monto por asignación transitoria que se haya establecido a la fecha antes citada. 1. En el caso de profesionales de la salud, cuando se incremente su valorización principal. 2. En el caso del personal de la salud técnico y auxiliar asistencial de la salud, cuando se incremente la valorización principal y/o la valorización priorizada por Atención Específica de Soporte. 3. Al término de su designación o encargatura del puesto de dirección o de confianza. Fraccionamiento de días de descanso y adelanto de vacaciones antes de haber trabajado un año son los principales cambios en la norma. Tal como anunció el Poder Ejecutivo hace unas semanas, se publicó el Decreto Legislativo que modifica la regulación del decanso vacacional para el sector público y privado, que entre sus principales cambios regula llamados adelantos de vacaciones y permite a los trabajadores fraccionar sus días de descanso. La norma señala que las vacaciones se disfrutan de forma efectiva e ininterrumpida, salvo que se acuerde el goce fraccionado, en cuyo caso el servidor debe disfrutar de su descanso vacacional en periodos no menores de siete días calendario. Sin embaro, esta regla establece que sin perjuicio de lo dispuesto, el servidor cuenta con hasta siete días hábiles, dentro de los 30 días calendario de su periodo vacacional, para fraccionarlos en periodos inferiores a siete días y con mínimos de media jornada ordinaria de servicio. Es decir, que se podrá tomar hasta medio día con cargo a vacaciones. “Es saludable que se haya recogido una realidad existente en las empresas: el goce de períodos vacacionales de 1 día. En nuestra opinión hubiese sido adecuado que se indique que el período mínimo es de 1 día respecto a la totalidad del descanso (30) y no solamente sobre 15 días. Es un avance”. César Puntriano, abogado laboralista. En el sector privado también se ha dispuesto regular las actuales practicas de descanso vacaciones, por acuerdo escrito entre las partes. Además, el trabajador debe disfrutar del descanso vacacional en forma ininterrumpida, salvo pida fraccionamiento. El descanso vacacional puede reducirse de 30 a 15 días calendario con la respectiva compensación de 15 días de remuneración. El acuerdo de reducción es por escrito y solo se pueden reducir los días que se pueden fraccionar. Una votación a favor por unanimidad en la Comisión de Trabajo del Congreso de la República generó que se aprobara la propuesta legislativa que plantea eliminar la modalidad de Contrato Administrativo de Servicios (CAS ) y, con ello, pasar a planilla a más de 500 mil trabajadores públicos que carecen de beneficios laborales. “Con cargo a redacción, se ha votado (a favor) por unanimidad”, dijo el presidente del grupo de trabajo, Justiniano Apaza. De esta manera, el proyecto de ley quedará a la espera de ser debatido en el Pleno del Congreso. Cabe destacar que la sesión no contó con la presencia de la titular del Ministerio de Economía y Finanzas (MEF), Claudia Cooper , quien se esperaba que asistiera para dar a conocer la postura de su sector debido a que la aprobación de la iniciativa costaría al Estado cerca de S/2,178 millones y supondría el fin de la Ley del Servicio Civil (Servir). Leer: El régimen de contratación CAS en la balanza ¿Cumple sus objetivos? Con la finalidad de fomentar el intercambio de información, experiencias y conocimiento en el ámbito de sus respectivas competencias, la Autoridad Nacional del Servicio Civil – SERVIR y el Instituto Nacional de Administración Pública – INAP del Reino de España firmaron un Memorando de Entendimiento el pasado 15 de noviembre en la ciudad de Madrid de España. Autoridades de ambas entidades, Juan Carlos Cortés Carcelén, Presidente Ejecutivo de SERVIR, y Manuel Arenilla Sáez, Director del INAP, celebraron el Memorando de Entendimiento que tiene la finalidad de intensificar la cooperación en el área de formación de competencias del servicio civil, a través de la realización de programas académicos conjuntos y la formación de directivos para la función pública. Asimismo, la cooperación entre ambas entidades facilitará la participación de los integrantes de las comunidades académicas en redes especializadas en gestión pública, que permita desarrollar proyectos de investigación e innovación, así como la realización de publicaciones conjuntas. Además, posibilitará el intercambio de material bibliográfico en soporte analógico y digital.